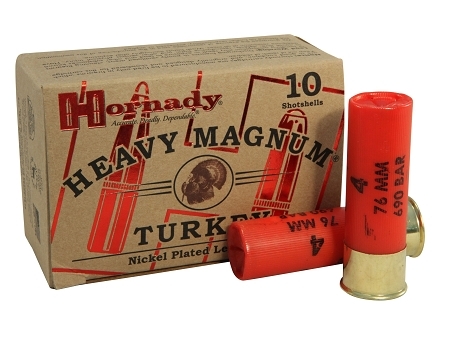 Hornady Heavy Magnum, Turkey Ammunition is a new breed of heavy magnum. Delivering a payload of nickel plated shot in a tight, dense pattern. This round features the VERSATITE wad which has a range-extending baffling system that allows hunters to achieve lethal penetration out to 50 yards. This round also has the thickest nickel-plated shot in the industry that minimizes shot deformation enabling more shot to be delivered to the intended target.